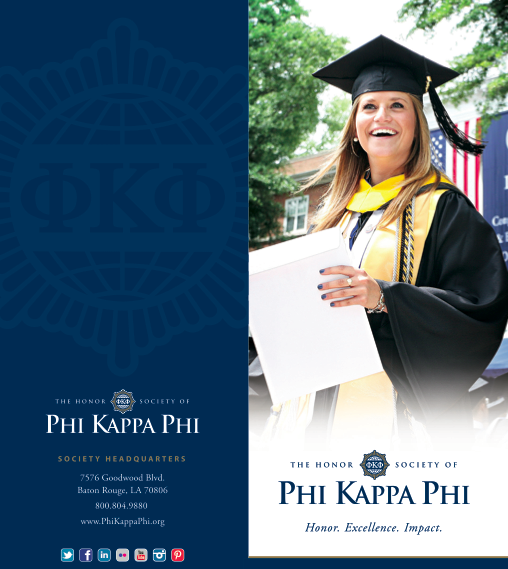 The Honor Society of Phi Kappa Phi is the nation's oldest and most selective honor society for all academic disciplines. The organization inducts approximately 32,000 students, faculty, professional staff, and alumni annually from more than 300 select colleges and universities in North America and the Philippines. Membership is by invitation only to the top 10 percent of seniors and graduate students and 7.5 percent of juniors. Faculty, professional staff, and alumni who have achieved scholarly distinction also qualify. Since its founding, more than 1.25 million members have been initiated into the ranks of Phi Kappa Phi. Some of the organization's more notable members include James Barksdale, Founder of Netscape, Jimmy Carter, Hillary Rodham Clinton, Robert M. Gates, and Ruth Bader Ginsberg, all of whom are members in public service, NASA Astronauts Bernard A. Harris, Jr. and Wendy Lawrence, and Co-founder of YouTube Chad Hurley, to name a select few. 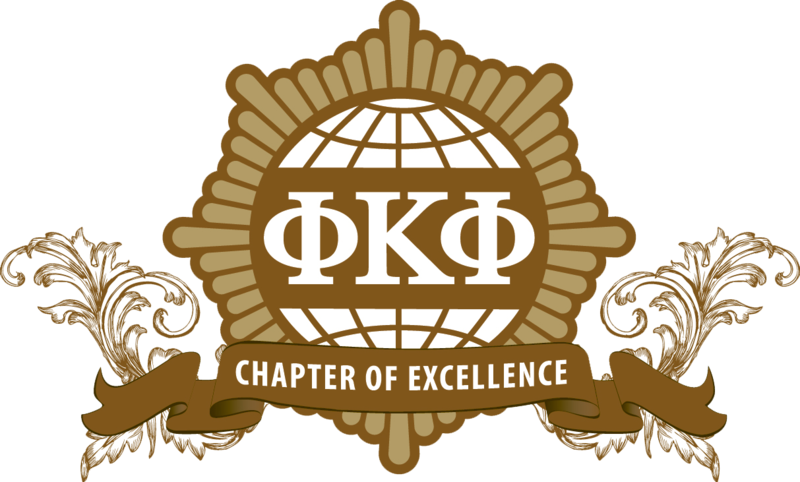 The Duquesne University Chapter of Phi Kappa Phi was installed on April 26, 1976. Our Chapter number is 187. 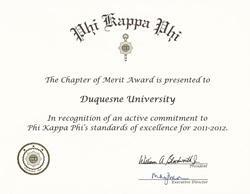 The Duquesne University Chapter has won the Phi Kappa Phi Chapter of Excellence Award for the past two years. To recognize and promote academic excellence in all fields of higher education and to engage the community of scholars in service to others. Let the love of learning rule humanity.